At the invitation of President Serzh Sargsyan, President Karolos Papoulias of the Hellenic Republic is due to make a two-day state visit to the Republic of Armenia beginning on September 29. As reported by the presidential press service, within the framework of the visit, the Greek president will hold meetings with President Sargsyan, the President of the Armenian National Assembly Galust Sahakyan and Prime Minister Hovik Abrahamyan. He will also visit the Tsitsernakaberd Memorial Complex to lay a wreath at the memorial to the victims of the Armenian Genocide and pay tribute to the memory of the innocent victims. 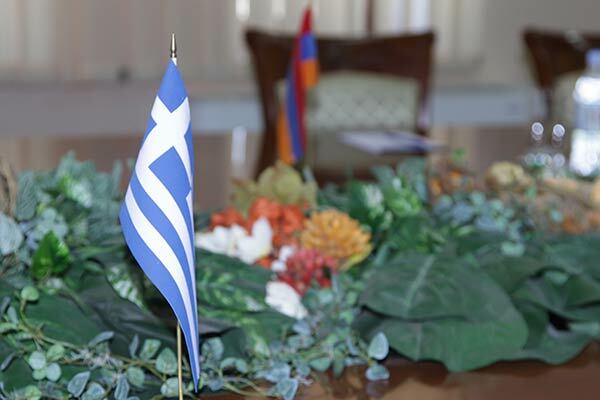 A signing ceremony of documents aimed at strengthening and deepening the Armenian-Greek relations will take place in the RA Presidential Palace followed by the joint press statement of President Serzh Sargsyan and President Karolos Papoulias on the results of the negotiations. Within the framework of the Greek President’s visit, an Armenian-Greek business forum will take place in Yerevan with the participation of the presidents of the two countries. Karolos Papoulias will also visit Garni Historical and Cultural Museum-Reservation in Armenia.